Mind Control. For most of us the term generally conjures images from Hollywood thrillers such as The Manchurian Candidate. However, the existence of such a sinister method of manipulation may not be as far fetched as one might suspect. In fact, if you go to the United States Patent website and conduct a search for patent number 3,951,134 you will discover something rather interesting. That’s just a technical way of describing the process of mind control, as thoughts are known to travel through the brain in the form of electrical stimulus. These electromagnetic signals can be encoded with subsonic tones that produce harmful chemical compounds in the brain of the receiver. The brain is extremely sensitive to external phenomena so even a minor change in its electronic frequency levels can alter thought patterns. Consequently, if an individual or group even slightly alters your brain wave patterns they will have varying degrees of control over your mind. The Music of Time by Preston B. Nichols and Peter Moon, although it's kind of old, explores this concept. The patent for this mind control weapon was granted to Malech on April 20, 1976. “It may be possible—and tempting—to exploit for strategic-political purposes the fruits of research on the brain and human behavior. Gordon J.F. MacDonald, a geophysicist specializing in problems of warfare, has written that accurately timed, artificially excited electronic strokes ‘could lead to a pattern of oscillations that produce relatively high power levels over certain regions of the earth…. In this way, one could develop a system that would seriously impair the brain performance of very large populations in selected regions over an extended period…No matter how deeply disturbing the thought of using the environment to manipulate behavior for national advantages to some, the technology permitting such use will very probably develop within the next few decades” (p. 86). What if this audio technology were being used by hip-hop music industry overlords for the purpose of mind control? With online filesharing, hip-hop has become the most accessible form of music among young people in the United States today. If someone wanted to control the population they could do it successfully through hip-hop music. It’s interesting to note how Earth Wind & Fire’s “Fantasy” or Marvin Gaye’s “Love Party” can make a person feel upbeat and optimistic about life, while much of the popular rap music today encourages short-temperedness, self-pity, careless spending and senseless violence.This kind of rap is the most popular because major record labels prefer to market and promote music that appeals to man’s lower animal nature. But understand that it’s not just the lyrics of a song that determines your emotional and psychological response to it, but the tonal frequencies of the music itself. In February 2005 I published an essay entitled, “Bridging the Gaps: Black music’s future depends on a fusion of culture, sound and ides.” In that essay I pointed out that each of the chakras (energy vortexes that make up the human spirit) that Trantrists speak of correspond to a particular genre, or expression, of black music. In my efforts to stay focused on the subject at hand, I did not share that each chakra also has its corresponding tonal frequency on the musical scale. There are seven chakras to the human spirit and seven notes in the musical scale. When you say "doe-re-mi-fa-so-la-ti-doe," you're actually saying "doe," twice. If a producer knows the specific tonal frequency that corresponds to the heart chakra—which deals with the expression of love—and the root chakra, which is synonymous with lust and violence, they can blend the two tones into an infectious harmony that evokes a love for violence in the listener. This is why we can listen to a rapper say the most vile things on a record, yet we still love it because the lyrics are accompanied by savvy production that blends the tones representative of both the heart and root chakra. If the rapper has charisma and slick wordplay, his music will further amplify these negative feelings within you and you will find a way to rationalize your appreciation for his poison. When you hear the tone of a given musical note, that tone triggers an encoded electrical stimulus—which has its own geometric signature, its own hieroglyph—through the neurons of your brain. This electrical stimulus then tells your brain which neurochemicals to produce and in what quantity to produce them. Your brain synthesizes these chemicals and secretes an entirely new chemical compound that dictates how you will respond emotionally and psychologically to what you’re listening to. If this were not true you would feel a different emotion each time you heard your favorite song. The reason why you do not is because the song produces the same drug in your brain each time you hear it. What causes you to eventually get tired of listening to that song is the fact that each time you hear it, your brain has to produce more and more of the chemical compound in order to re-experience that initial high. When your brain has to work harder than it can afford to to produce this wonder drug, you end up putting that CD on the shelf where it begins to collect dust. However, the brain will never stop producing a compound that assists in its preservation, entirely. Songs that help to preserve the brain are known as classics in the music world for that reason alone. If you look at any song considered to be a bona fide classic, you will usually find that it celebrates the best in human nature and is reflective of man’s highest aspirations in some way, shape, or form. You may stop listening to these songs for a while, but you always come back to them because your brain knows what’s best for it even if you do not. Most of these up-tempo hip-hop songs you hear produce chemical derivatives of angel dust and cocaine in your brains. Many people who spend a great deal of time listening to them exhibit the same animalistic tendencies as coke and dust heads. These individuals could definitely use a detox, but the way the music industry is looking, they aren’t likely to get one. In the movie Scarface, Tony Montana goes on a mad shooting spree against the feds in his mansion after snorting a ton of blow. After that coke went up his nose Montana felt invincible, as if he could take on the entire world. Aggressive rap makes people who are otherwise reserved, or timid, feel the same way until the music stops. Is it any coincidence that the hip-hop community was inundated with Scarface t-shirts, jackets, and cubic zirconia encrusted dog tags in 2005? They were all over the place. Whoever was behind this dubious fashion trend was trying to lead the hip-hop community down a dark path. Fortunately, if you are consciously aware of the effect that the music has on your mood and temperament, then the chances that it will significantly influence your behavior is drastically diminished. It all depends on whether or not you’re doing the alchemy. Are you taking the base emotions that the music conjures within you and transmuting it into sonic gold? Instead of imagining yourself doing something wild and reckless when listening to this kind of music, use it as emotional fuel that can be used to accomplish a noble goal. A man who consistently transcends his circumstances to accomplish his goals is a man with a strong will. A man who has a strong will has reached a plateau in his spiritual evolution wherein he is able to focus the spectacular energies coursing through his mind, body and soul. A vast amount of energy and personal power is a prerequisite for the exhibition of a strong will. A person may genuinely have the will to stop using drugs but they lack the personal power necessary to exhibit the desire to do so. Only when they begin to build on their personal power through affirmations, or other simple, yet highly effective activities, will they obtain the personal power they need to give up their addiction and improve the quality of their lives. A conscious use of the music you listen to, no matter how abrasive it may sound to others, can help you increase your personal power. Instrumental CDs are extremely effective for this purpose. They allow you the freedom of deciding how you will process and interpret the music entering your ears because there is no rapper directing your attention towards their choice of subject matter. Instead you interpret the mood and meaning of the music FOR YOURSELF. The power is in your hands. The only limitations rest in your imagination, which metaphysicist Phil Valentine has pointed is the nation of the inner magis that reside in our minds. When I listen to the instrumental for the DipSet song "I'm Ready," its about me being ready for MY own spiritual transformation, and not any of the stuff they're talking about on the actual song. As a matter of fact, I highly recommend the instrumental CD for Diplomatic Immunty Vol 1 (2003). 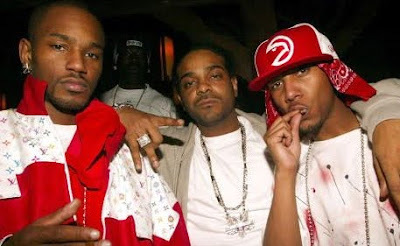 Start your day with the DipSet Anthem instrumental. You might find that lyrics that better reflect who you are start to take form in your head. I also like "Triumph" by the Wu-Tang Clan although the actual song is just fine the way it is. 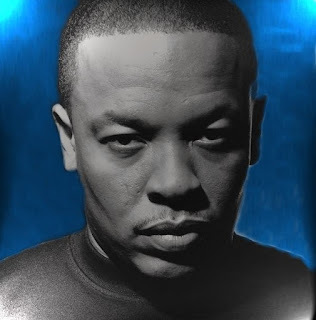 If a record producer understands the science of music, he can instill the most destructive thoughts and behavior patterns in his audience through his selection of the rappers he uses to rhyme over his beats. So, the next time you’re shopping for the illest hip-hop CD or downloading a couple of hot bangers onto your iPod, ask yourself one question: is my favorite producer trying to make a helpless addict out of me?